Secure proof of presence combines trusted Near Field Communications (NFC) or BLE and cloud-based authentication to uniquely add trust to IoT applications - ensuring services have been rendered and billed for the accurate amount of time. HID Global is driving leadership with an expanding portfolio of wireless transponders (RFID, NFC, BLE) and cloud services securing and enabling IoT applications that are opening new opportunities across numerous markets. At the core of HID Global’s identification continuum are visionary solutions fueling broad Internet of Things applications, location services for the workplace, asset tracking & monitoring, secure proof of presence, brand protection, secure transactions and many more. 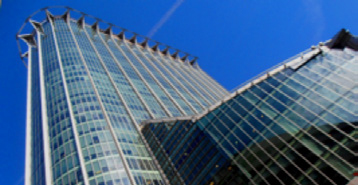 Providing a safe environment for a company’s most valuable assets, people and property is paramount for property management and facilities managers. Adding trust to IoT applications forges new paths for our partners and users to develop solutions powered by HID Global’s end-to-end IoT platform. HID Trusted Tag Services combine NFC technology and cloud-based authentication with partner IoT applications, allowing property management to accurately track security check-points and security guards to instantly respond and report fraudulent activities throughout the building -- day and night. Security guards are able to patrol areas of the building more easily and efficiently -- each patrol stop is automated, replacing the manual sign-in process. With a simple tap of their mobile phone to the secure Trusted Tag, guards digitally prove that the security patrol stop took place at the proper location. Through seamless integration with existing Computerized Maintenance Management Software (CMMS), facilities managers can easily manage service events, monitor mobile technicians and inspectors across multiple locations by simply implementing HID Trusted Tag Services. 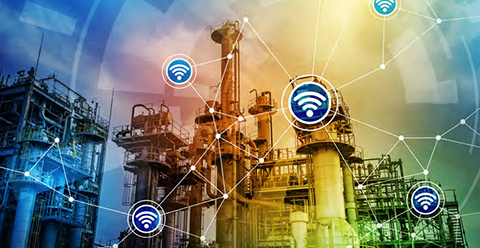 By adding a trusted wireless transponder to manufacturing equipment, utilities, and safety equipment, assets are instantly internet-enabled to securely engage with mobile, web-based CMMS, and other preferred business applications. A simple tap with an NFC or BLE enabled mobile device automates the maintenance and inspection process – delivering a secure, mobile experience while extending the life and performance of capital equipment. Lost capacity and equipment downtime are the biggest threats to the operations organization. HID Condition Monitoring, enabled by Bluvision, extends your secure IoT environment to gage performance and health of capital equipment, motors and motorized equipment such as conveyors, bearings, and lifts. Facilities and operations managers obtain instant information, to create a predictive and actionable analysis in a meaningful format. Increased visibility to the performance and health enables quick reaction to critical events, receive alerts, and predict future failure - reduce downtime and lost capacity. HID Location Services is about accuracy. 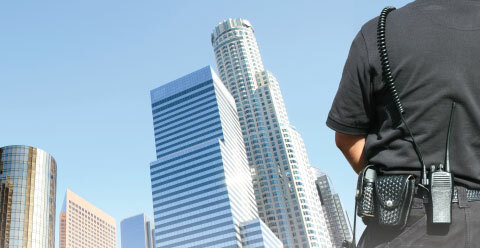 Organizations experience increased visibility of building use and easily locate equipment or other assets quickly. Under one platform, achieve breakthrough precision that requires minimal infrastructure. Organizations can now simplify and automate physical key management by tagging each key with an NFC tag to track and trace keys more efficiently. Using applications from HID Global partners, organizations can automatically record and monitor keys logged in and out of the property. Integrating HID Trusted Tag Services into partner applications enables secure proof of attendance using NFC mobile devices. This adds trust to time and attendance to effectively manage contracted services, students, mobile workforce, or maintenance technicians. HID Trusted Tag Services can facilitate transactions simply by tapping an attached or embedded NFC tag with an NFC-enabled smartphone or tablet to securely communicate information. This results in a frictionless authentication experience using a solution that fuels more powerful and dynamic Internet of Things applications. Bring it all together. Hover over each component for details of the solution. Can be affixed with a secure screw for "proof of presence"
Pioneering trusted digital identities to secure IoT applications. RFID News is designed to keep you informed about industry and product news, educational resources and upcoming events.